NOTE; Sorry some of the photos are sideways. My technical adviser is looking into why this keeps happening when I file posts from my phone. Lent began yesterday. For the faithful, it’s 40 days of sacrifice and denial leading to the renewal of Easter. But the Lord provided. 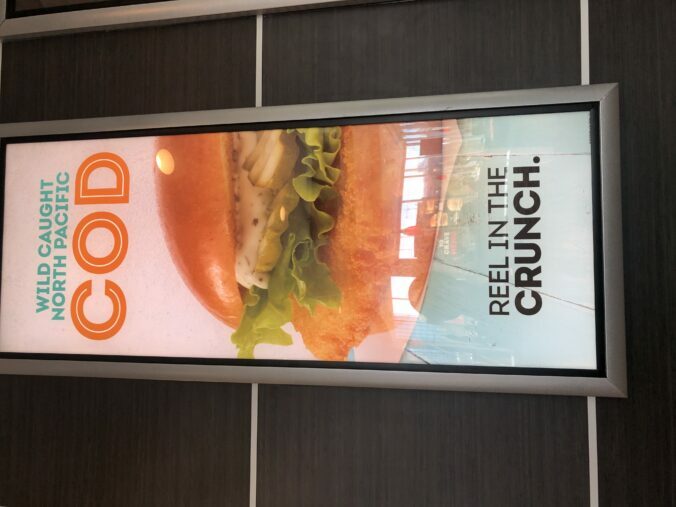 In 1965, McDonald’s went national with its first non-hamburger sandwich: the deep-fried Fillet-o-Fish. Not being religious these days, I typically realize it’s Lent when the fish sandwich promotional billboards go up at fast food menu counters. That’s what happened Thursday at Wendy’s. God or willpower? You decide. 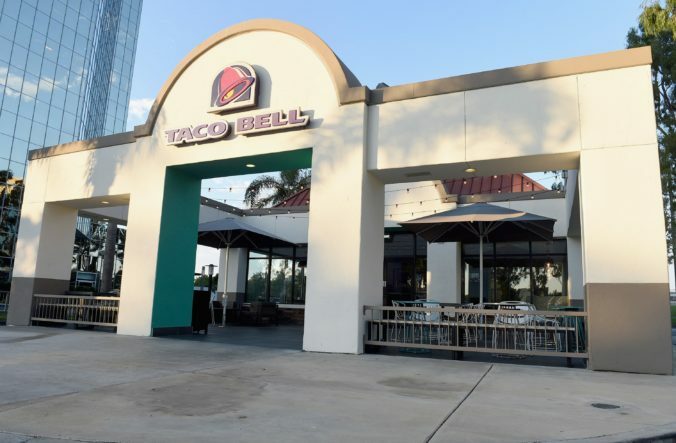 Taco Bell is planning to offer a more extensive vegetarian menu in 2019, the company recently announced. Count me as more than casually interested. My fondness for Taco Bell goes deep. There are times when the hunger for ersatz Tex-Mex will not be silenced. This craving dates back to college days in the late 1970s, when the closest restaurant to the student newspaper was a Taco Bell. The staff had a love-hate relationship with the chain. “I’m going to Taco Death to pick up dinner. Does anyone want anything?” someone would shout as the evening deadlines approached. 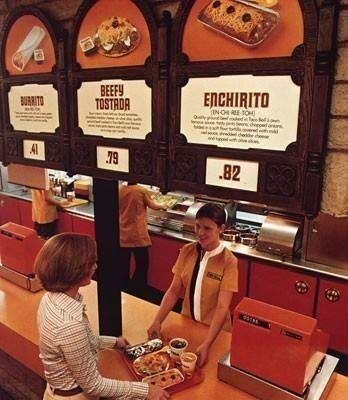 Still a couple of bean burritos — vegetarian before its time, I guess — were filling and less than a dollar. 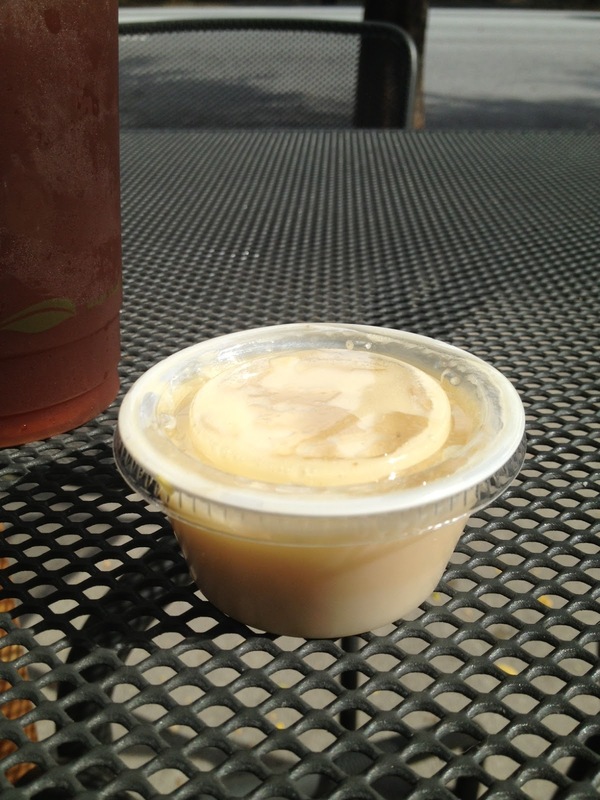 For students, it was convenient and cheap — and in its own guilty pleasure way, kind of good. The food was a bargain for poor students. Taco Bell hasn’t said much about the details for the new vegetarian menu. The chain’s website has a placeholder for vegetarian offerings consisting of what’s available now. And it’s relatively easy to assemble a vegetarian meal from what is already on the menu. Some years back, Taco Bell promoted a series of “fresco” menu items that were intended to be healthier than the normal fare. Even though the fresco promotion is over, there are still calorie-conscious options that are under 350 calories and under 10 grams of fat each. Calorie-conscious is the key word there, because I wouldn’t call them exactly healthy. The 150-calorie chicken soft taco “fresco style” gets 1/3 of its calories from fat and has 430 mg of sodium, which is a lot. The Centers for Disease Control urges American adults to consume no more than 2,300 mg of sodium a day. That is supposed to improve, too; the company also announced that it would reduce sodium by 25 percent by 2025. So here’s hoping the chain is successful with adding more vegetables and reducing sodium, because sometimes the bell just rings. When that happens, I’ve gotta go get lunch. And don’t get me started on the guiltiest pleasure of all, the bacon breakfast crunchwrap. “I’m sure there’s something there that you can eat,” they say. The only non-beef sandwich is a veggie burger that clocks in at 520 calories, 25 grams of fat, 57 of carbs and 18 of protein. And as I’ve reported before, there is nothing remotely healthy about the gourmet burger menus, however grass fed the beef may be. 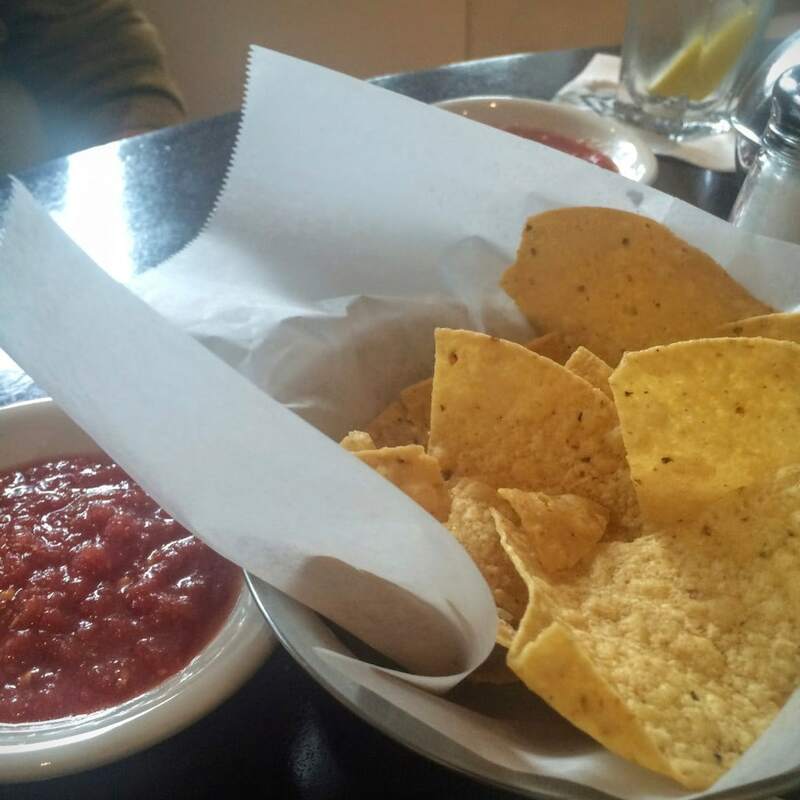 When the subject is eating healthy, a Mexican chain restaurant seems an unlikely choice. But this Weight Watcher passed by two other restaurants to eat at Mi Cocina in Atlanta’s Midtown neighborhood. The menu offers a perfectly dieter-friendly ceviche that is spicy, fresh and quite filling. The Mexican restaurant ubiquitous basket of tortilla chips is not salted, making it possible to eat just six and no more. A salty meal, with its addictive properties, can trigger a binge day that doesn’t end. Mi Cocina appears to be a small chain based in Texas, with restaurants in Dallas and Houston. The menu is pretty typical: tacos, enchiladas, some salads, guacamole, fajitas and nachos. Usually at a Mexican restaurant, I order fajitas. I request that the cook pluck them from whatever oily marinade they are in, rinse them under the sink and grill them dry. With some pico de gallo, guacamole and corn tortillas, it’s a reasonable choice. 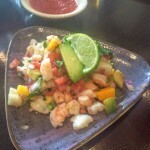 Mi Cocina’s ceviche is a smaller portion than it used to be, but it is still a nice mix of shrimp, jicama, mango, avocado and red onion in a cilantro-lime vinaigrette. The restaurant does not publish nutritional information, but My Fitness Pal estimates it at 109 calories, 4 grams of fat and 10 grams of protein. That comes to 3 Weight Watchers SmartPoints. The ceviche great on its own, but today I ordered a salad — blue cheese dressing on the side, no bacon and no crisp friend onions. The server was so stunned, he stammered: “Without those things, there really isn’t anything to the salad but the lettuce.” Perfect. 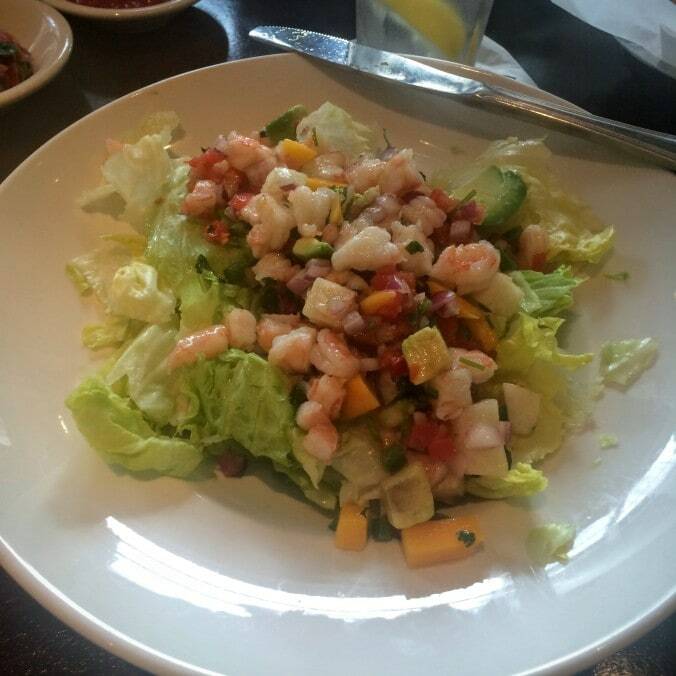 When it arrived, I dumped the ceviche over the lettuce, added about a tablespoon of the dressing and mixed it all up. “That’s pretty smart,” he said. Yes, it was. So smart I had six of those unsalted chips. You know it’s January when restaurant companies haul out the “lite” menus or even introduce new permanent items aimed at the Weight Watchers crowd. 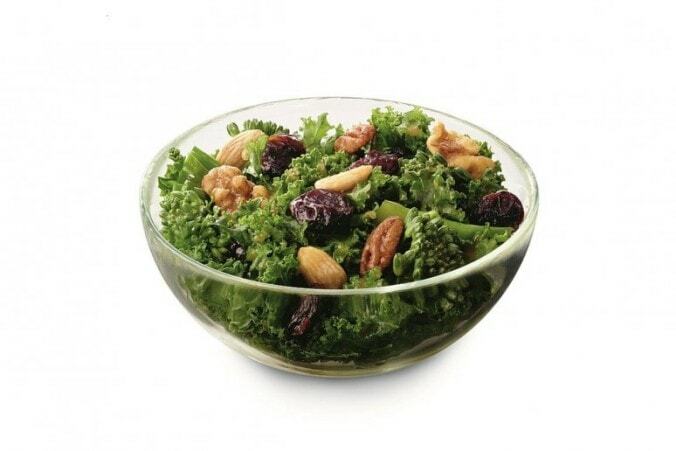 Nothing has exploded more than Chick-fil-A’s Superfood Salad. And not in a good way. A kale-and-broccolini dish is trendy. Putting one on Chick-fil-A’s menu is kind of like Nicki Minaj subbing for Hillary Clinton at an Iowa campaign appearance. To add insult, the Superfood Salad swept off the menu that Southern staple, coleslaw. It seemed like a blue-state raid on the beloved Atlanta-based chain, especially suspicious given Chick-fil-A’s designs on New York City. Oddly enough, the creation came from a Southern chef, Ford Fry of Atlanta, whose empire includes JCT Kitchen, where there’s a completely credible southern drawl to the menu. 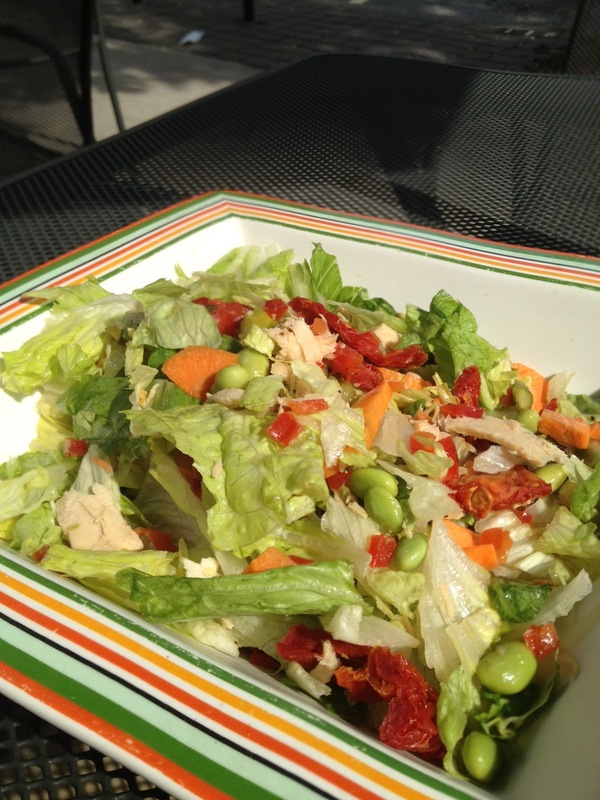 One blogger’s diatribe against the salad has gone hilariously viral. 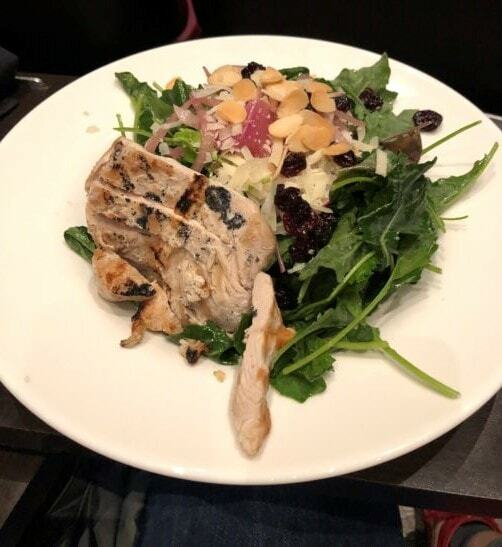 Despite the marketing focus on healthy vegetables, the salad has a lot of sugar packed in the maple vinaigrette dressing and dried cherries. The small is 140 calories with 7 grams of fat, a meager 2 of fiber, 11 of sugar and only 3 of protein. The large is 170 calories, 8 grams fat, 2 of fiber, 16 of sugar and 4 of protein. For that reason, it performs poorly on Weight Watchers’ protein-and-vegetable leaning points program — 6 Smart Points for the small and 7 for the large. Let’s see how long it takes for the coleslaw to return to the menu. Maybe The South will rise again. This Turkey Bacon Ranch sub at Firehouse Subs clocks in at an astounding 41 Weight Watchers Smart Points for the large, 26 for the medium. For many Weight Watchers, a turkey sandwich is the gold standard. A basic version counts as two slices of bread (5 Smart Points) and 4 ounces of deli turkey (2 Smart Points). Add in some lettuce, tomato or other vegetables and you have a pretty satisfying meal. Ordering a turkey sandwich at lunch winds up consuming 7 points from my daily allowance of 34. Plenty left over for dinner and breakfast. It’s not that chain restaurants are out to get us. Really. It’s just that they’re out to get everyone else (as customers) and leave us to manage on our own. Weight Watchers has done a great job of pulling together information on chain restaurants in its Menu Master Eating Out Guide. Auntie Annie’s: What carb addict hasn’t strolled past those glistening, nutritionally vapid pretzels and had a craving? But the price is steep. A cinnamon sugar soft pretzel is 19 points even before 3 for the light cream dip or 7 for the caramel dip. Run away! Chili’s: I guess we have to pass on the Bacon Ranch Steak Quesadilla at 63 points. That is not a typo. Cinnabon: Why even bother to know the SmartPoints, when hardly anything on the menu is below 15 and ranges up to 46. IHOP: If breakfast starts with an order of Cinnamon Swirl Brioche French Toast and Sausage at 47 point, why not just head to bed and start over tomorrow? Or: just see Cinnabon, above. Jamba Juice: Didn’t smoothies start as healthful alternatives? Not here. Something that sounds as innocuous as a Banana Berry Smoothie is 32 points. KFC: Just be aware that the Chicken Pot Pie (at 32 SmartPoints) makes an extra crispy fried chicken breast at 13 look like a bargain. Red Lobster: Which has Cajun Chicken Linguine Alfredo on the children’s menu with half a serving at 25 points. Get the book here. It’s essential. The New York Times today has an interesting article about how chains are reacting to pressure to offer healthy fare. Good reading for those of us on Weight Watchers. Even in an increasingly health-conscious world, opening a restaurant whose star attraction is salads is brave to say the least. But chains indeed have, and we dieters are thankful. A couple years back, one of them, Tossed, opened about 2 miles from our house in Decatur, Ga. The restaurant was located in the small downtown. It was too far from the house for a quick walk, but parking in the area was in short supply. Still, I patronized it as often as possible. I desperately wanted it to survive, but it didn’t. Now we live in Midtown Atlanta, and a short block from Dressed. I can walk there in less than 5 minutes. It’s on the way from the commuter train station to our apartment. It couldn’t get more convenient. 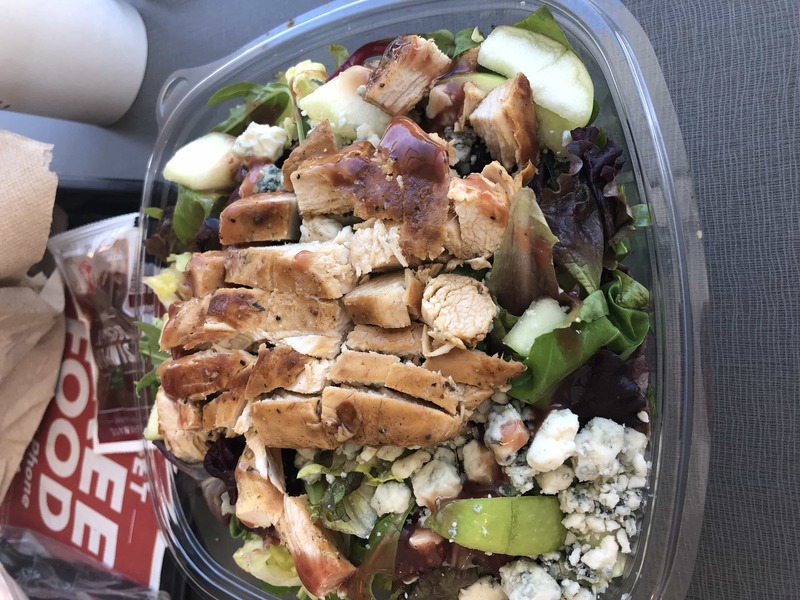 I try to load up with lots of low-fat ingredients: romaine or spring mix, red pepper, carrot, edamame, egg white, chicken or tuna, grilled asparagus, sun-dried tomatoes, radish and chickpeas. I leave the croutons, nuts, friend chicken pieces to others. The only thing to watch out for is the dressing. 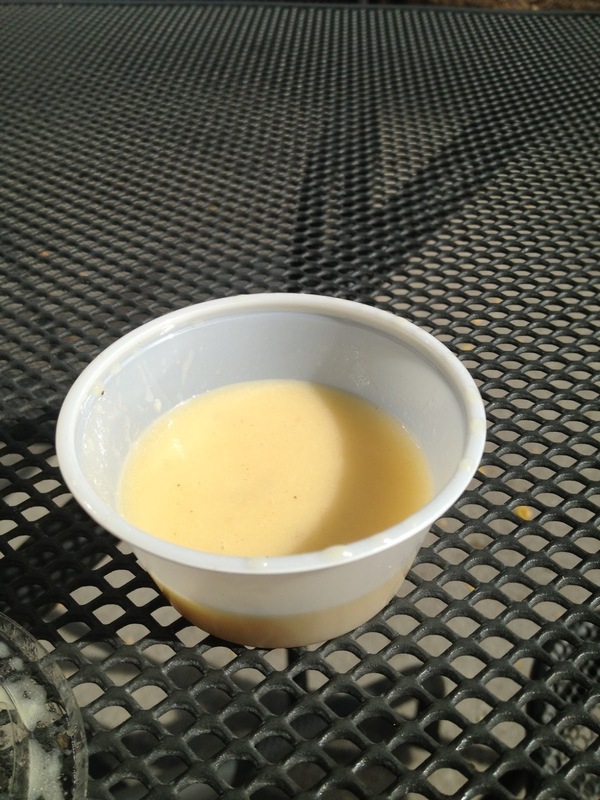 The bottom of the “on the side” portion cup showed it contained 3 1/2 ounces of the lemon-lime vinaigrette. That’s a lot of dressing — 8 Weight Watcher points. 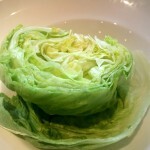 More in fact, than the sizable salad actually needed. Half turned out to be quite enough.